— Robert S. Johnson, P-47 pilot, 56th Fighter Group. 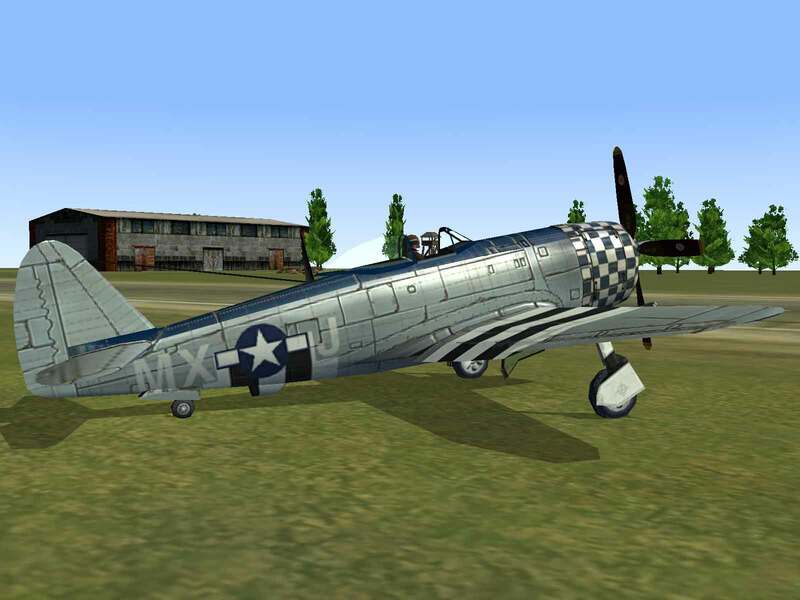 Durability – No other fighter can absorb punishment like the P-47. Guns – Its eight .50 caliber machine guns gave the Jug one of the heaviest fighter armaments of the war. Ground Attack – Capable of carrying over 2,000 lbs. 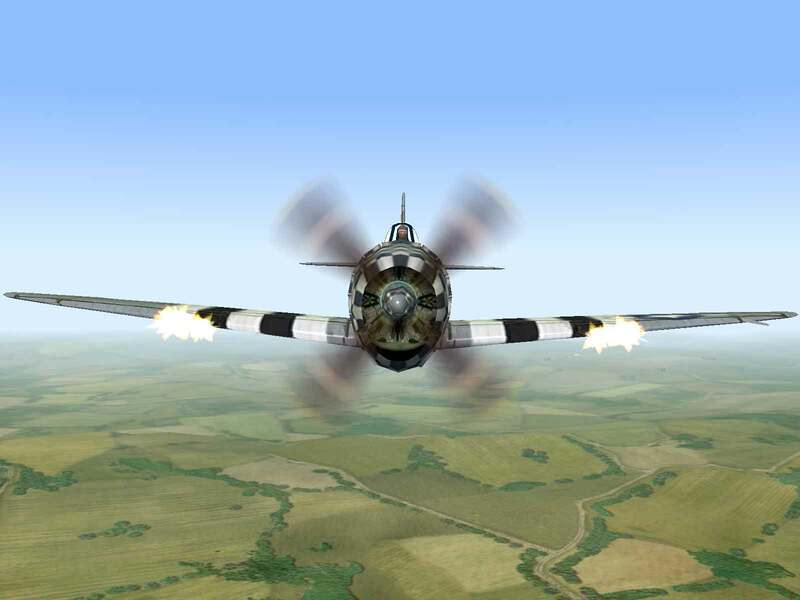 of bombs and/or rockets, the P-47 is a deadly “ground pounder”. 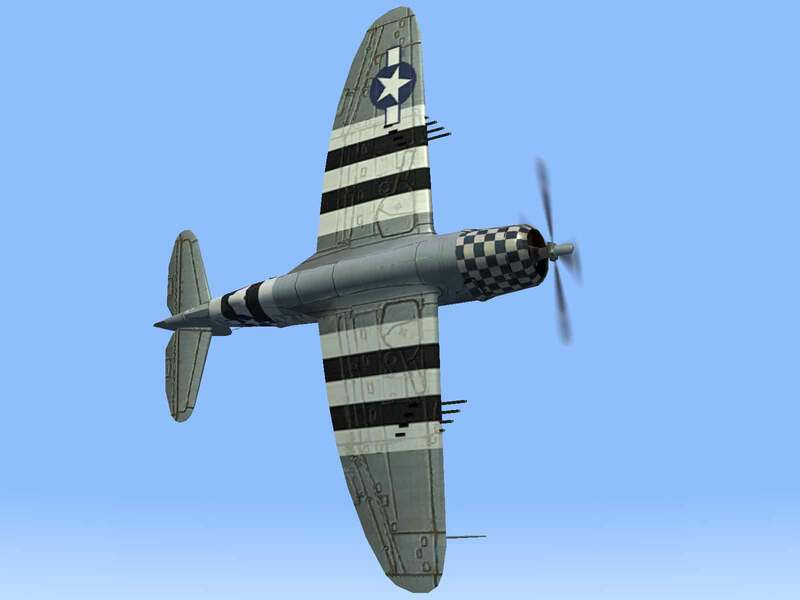 Speed – With a top speed of over 425 mph, the P-47D was one of the fastest prop fighters of the war. 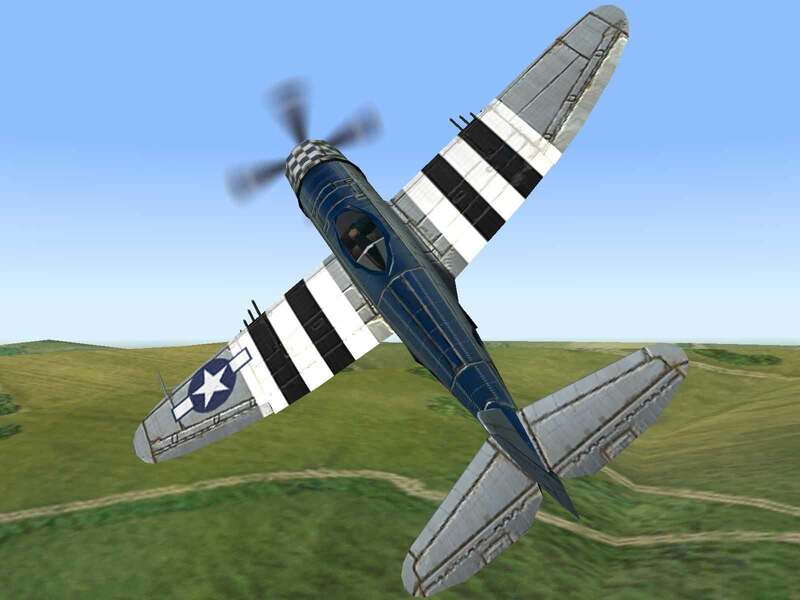 Roll Rate – The P-47’s fast rate of roll allows it to compete with more maneuverable fighters. Maneuverability – With a gross weight of over 14,000 lbs. the Jug is hardly a nimble dogfighter. Acceleration – The big fighter takes a while to get up to speed. Climb Rate – As with acceleration and maneuverability, the Jug’s large size keeps it from climbing as fast as some of its contemporaries. 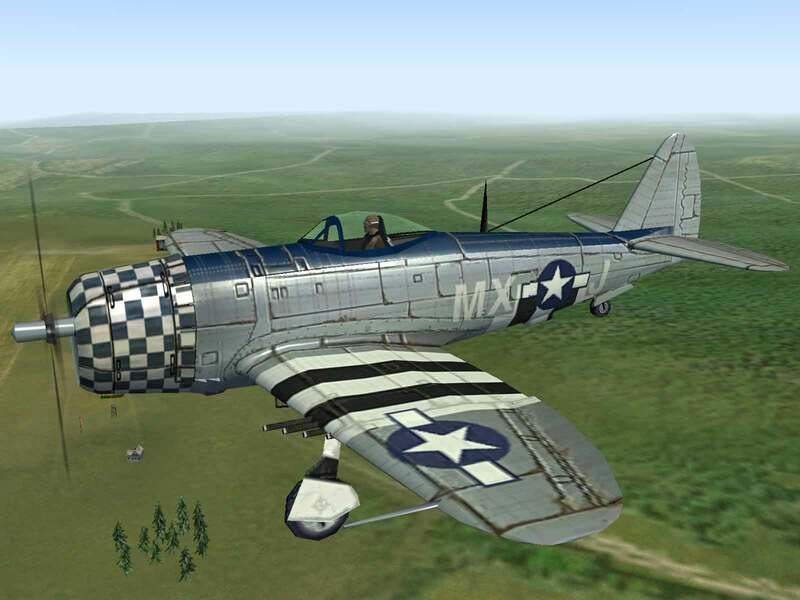 The P-47 Thunderbolt, affectionately known as the “Jug” by its pilots, was the evolutionary pinnacle of the aircraft designed by Alexander De Seversky and Alexander Kartveli. De Seversky was a brilliant engineer who had served in the Russian air force in World War I. Despite losing a leg in a bomber crash, he went on to shoot down 13 German planes before he was delegated to serve on the Russian Naval Mission to the United States. Following the Revolution of 1917, he defected to the US and finally earned his citizenship in 1927. Having already served as an advisor to General Billy Mitchell and consulting engineer for the US War Department, De Seversky formed his own aircraft engineering company, the Seversky Aircraft Corporation, in 1931. Known as “Sasha” to his friends, he served as president, designer, and chief test pilot and was virtually a one-man company until he hired fellow émigré Kartveli. The first military aircraft produced by Seversky was the BT-8 trainer, but a lack of power led to it be dropped in favor of North American’s BT-9, which evolved into the excellent T-6 Texan. Their next effort was the P-35, which beat out Curtiss’ P-36 Hawk for an Army contract. With the Army looking for an improvement to the P-35, Kartveli combined Boeing’s new turbo-supercharger with a Pratt & Whitney R-1830 engine to form the YP-43 Lancer, which was capable of reaching a speed of 350 mph and an altitude of 38,000 feet. The XP-47 was initially designed as a streamlined, small, lightweight fighter built around the Allison V-1710 engine, but the overall performance figures were outdated by European fighter standards. Kartveli then decided to design the plane around a turbo-supercharged P&W R-2800 engine rated for 2,000 hp. The resulting design was given the XP-47B designation by the Army. With its limited internal fuel capacity, the P-47B was unable to penetrate German airspace for very long, so in the “C” model, a ventral drop tank/bomb mount was added, increasing range by about 50%. The “D” model introduced another pair of hard points under the wings, stressed to carry up to 1,000 lbs. each. Alternatively, ten 5″ HVAR rockets could be mounted on zero-length launchers under the wings in place of bombs or drop tanks. Mid-way through production of the P-47D, a new “bubble” canopy was installed, which gave the pilot much better vision all around, particularly to the rear. 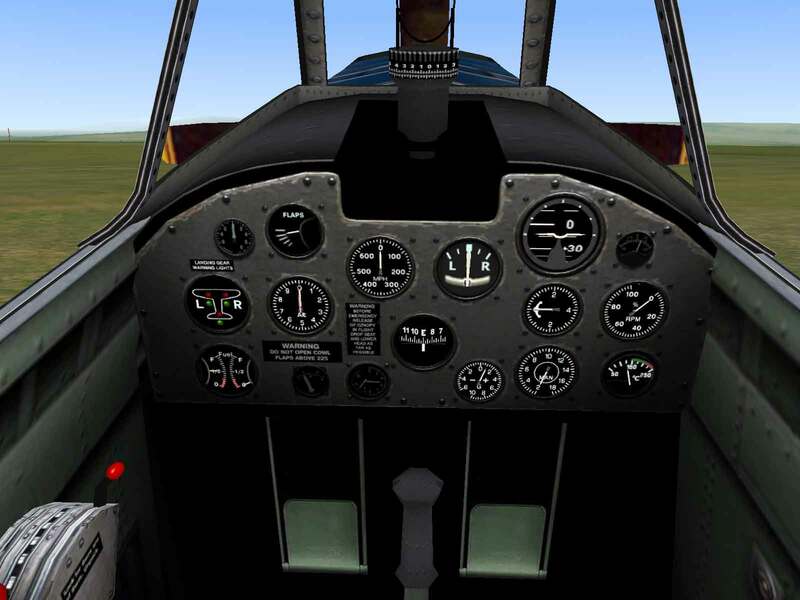 Water injection and a newer “paddle-blade” propeller increased overall top speed and climb-rate. Featuring eight .50 caliber machine guns in the wings, the Jug was the heaviest armed fighter in the US inventory, and could slug it out with the heavy cannon armed fighters the Axis put into the sky. Although it could neither climb nor maneuver with Luftwaffe aircraft, nothing could dive faster than the P-47, a fact that saved many a pilot’s life. Davis, Larry; P-47 Thunderbolt In Action, Aircraft No. 67; Squadron/Signal Publications, Carrollton, Texas; 1984.